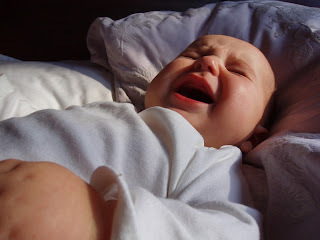 Mixed Bag Mama: To Soothe or Not to Soothe: Letting Your Baby "Cry It Out"
To Soothe or Not to Soothe: Letting Your Baby "Cry It Out"
Choosing whether to let your baby self-soothe (aka “cry it out”) or not is a very personal choice and unique to individual family circumstances. However, recent studies have shown that letting your child learn how to self-soothe can actually be beneficial to children AND parents, even in the long run. 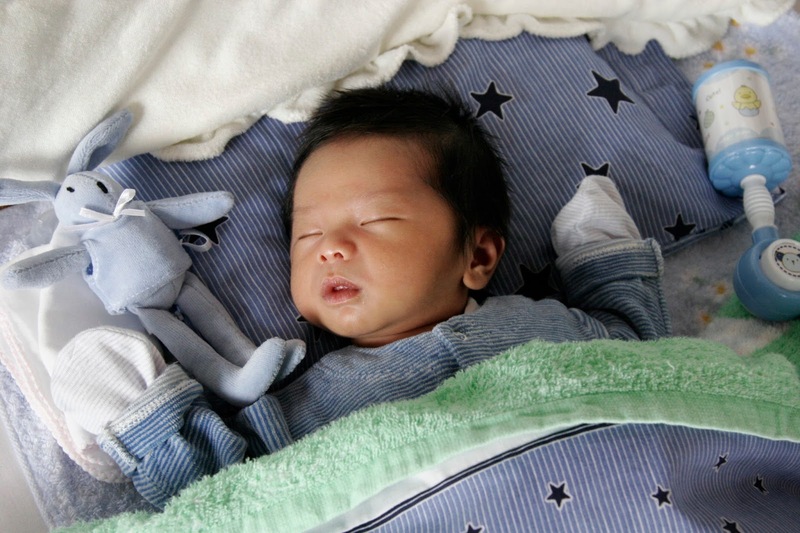 Almost any parent of an infant will tell you that two of the most nerve wracking issues of being a new parent are 1) sleep deprivation and 2) stress, which, if you’re not getting enough sleep, can lead to even higher stress levels! These are just a couple of reasons why some parents choose to let their child self-soothe. If parents are able to get more adequate sleep at night, they are more likely to be less stressed, which in turn positively affects ALL family relationships, including parent/child. It’s also important to note that insufficient sleep and stress can also greatly increase chances of maternal depression or even exacerbate pre-existing depression. I’m sure you’ve probably heard the expression, “If mama ain’t happy, ain’t nobody happy.” It may be a funny saying, but in all truth if new mothers are tired and stressed out (beyond the normal, inevitable amount that comes with having a newborn) it can negatively impact not only her ability to care for her child as best as possible, but her relationship with her significant other as well. Many parents are concerned that letting their baby cry it out will cause them long-term emotional and psychological problems along with poor/insecure parent/child relationships. However, an Australian study (which you can read more about HERE) that had one group use sleep training methods (more on that in a minute) and a control group who didn’t use any special methods found that there were no significant differences in the previously mentioned factors by the time the children were 6 years of age. Furthermore, the study concluded that children who went through sleep training not only learned to fall asleep easier, but also slept LONGER through the night. As with any subject of debate, there is always an opposition. A study conducted by the University of North Texas in the past couple of years showed that infants were still “stressed out” after crying it out, even though they WERE falling asleep faster and crying for less time beforehand. This was concluded by measuring cortisol, a stress hormone, in the children’s saliva. However, the study was only conducted for 5 days and a longer follow up is being conducted to verify whether the cortisol levels decrease over time as the children’s sleep patterns “normalize”. 1) Everyone is different. What works for someone else may not work for you and vice versa. 2) Do what you feel is best, what you’re comfortable with, and what your gut tells you. 3) Never second guess yourself, but always be open to new ideas if your current bedtime ritual isn’t working out well for your family. How did you or do you put your infants to sleep? Do you rock them or hold them until they fall asleep? Or do you tuck them in, maybe turn some lullabies on, and step out of the room and let them fall asleep on their own?